I’ll be the first to admit that I’m a recovering people pleaser. I love to help others. It’s one of the reasons I became a counselor! It seemed like the requests were never-ending. At first, I said yes to everything. And ya know what? I. Was. Miserable. When my schedule is jam-packed, I’m stressed. And when I’m stressed? It’s much more difficult for me to do the peaceful parenting thing. Under all that stress, I snap at my kids. 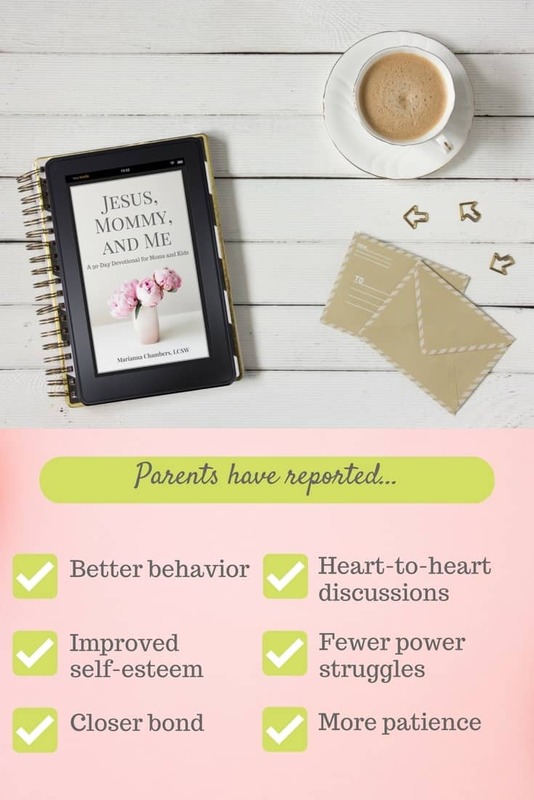 My goal is positive parenting, but I end up fussing and nagging. I’m rushing around like a crazy person trying to do ALL the things when there’s literally no more room on my to-do list. Have you ever felt this way? Stretched too thin? Stressed to the max? Snippy at your kids? Overbooked and overwhelmed? If so, it may be time to learn to say no. I know, it’s so tough for people-pleasers like me. We worry about what others will think of us. We can’t stand letting someone down or disappointing them. 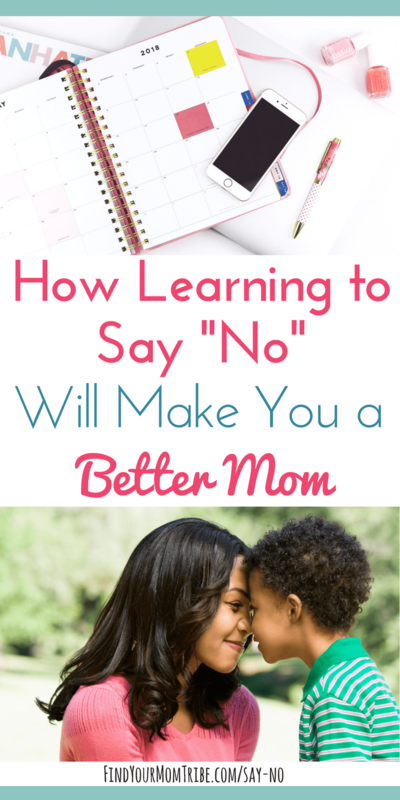 Saying no can be so freeing. 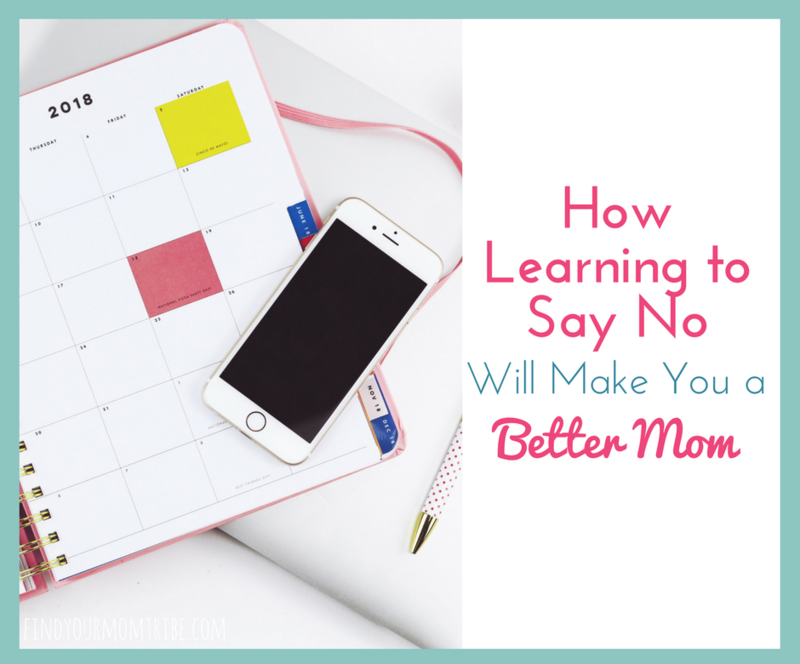 Learning to say no without feeling guilty is possible. But it takes practice. You may have to stretch yourself. But, let me tell you, friend. It will be so worth it. 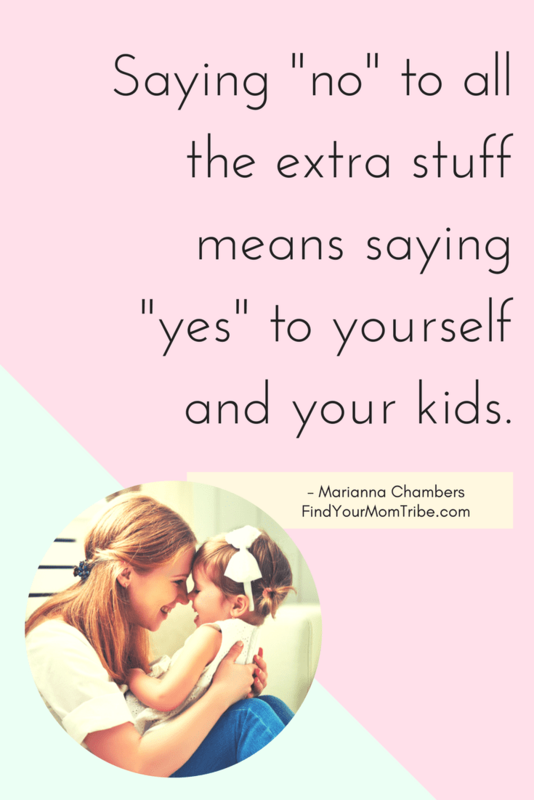 Because learning to say no to all the “extra” stuff means saying “yes” to yourself and your kids. You see, when we pause to think about what really matters, what’s truly important…saying “no” to all that extra stuff is a no-brainer. I’m not saying you have to say no to everything. But before you agree to do something, there are a few questions you might ask yourself. Is this something I’d enjoy doing? Do I really have time to put this on my schedule? Am I okay with sacrificing something else in order to make this happen? If you said no to any of those questions, you have your answer. We only have 24 hours in a day. As I mentioned before, saying no takes practice. Just like anything, it gets easier the more you do it. The best way to say no is to do it without a lengthy explanation. You don’t owe anyone an apology or a long excuse. It’s okay to firmly but gently say no. Here are some ideas for you. Allow me to encourage you today. If you find yourself stretched too thin, easily annoyed, or overwhelmed with everything on your plate, barely having quality time with your kiddos… perhaps it’s time to re-evaluate your commitments and keep only the things you love doing and what’s really important. 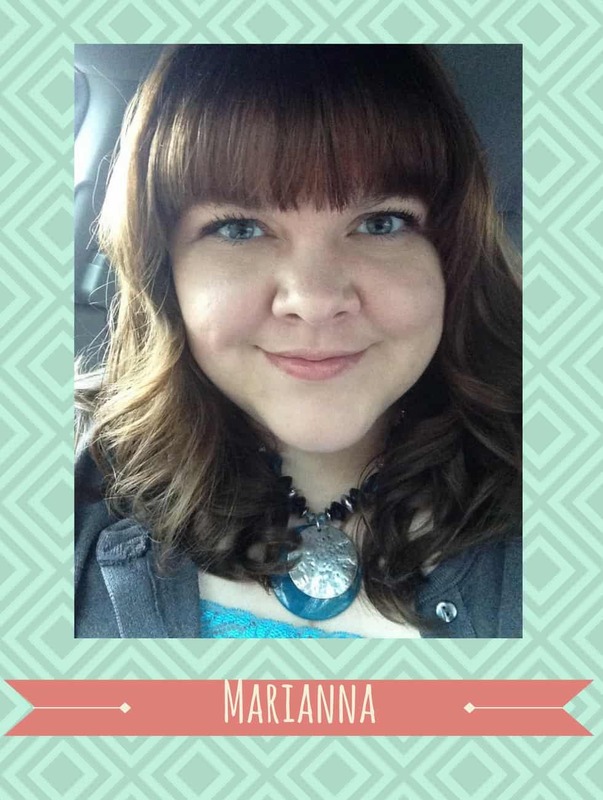 Do you hate being president of the PTA? Resign. Dread book club? Drop out. Hate baking? Don’t agree to bring those cupcakes, mama. It’s okay. The world won’t end. We only get a few short years with our kids before they leave the nest. THIS is the time to invest in our children. Today is a new day. It’s a new chance to make a fresh start.